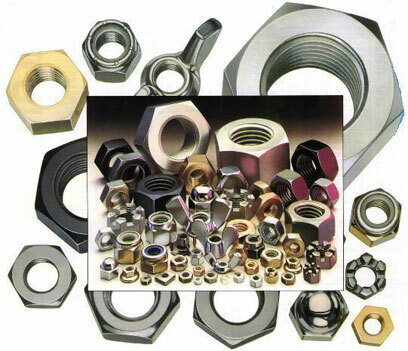 Also referred to as threaded inserts, rivet nuts are predominantly used in thin walled sections where access is limited to one side e.g. box sections. Installation is by use of specific tooling which can range from simple lever operated hand tools up to the more sophisticated high volume pneumatic tooling. 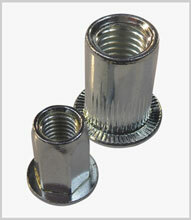 Materials: generally steel, stainless steel and aluminium. Body sections can be round, serrated, hexagonal or square.